Ireland has a tragic past, yet the Irish people--through determination, hard work, and a dash of luck--have continued to prevail through every struggle. Luck actually originated in the Middle Dutch language; the word luc means happiness and good fortune. 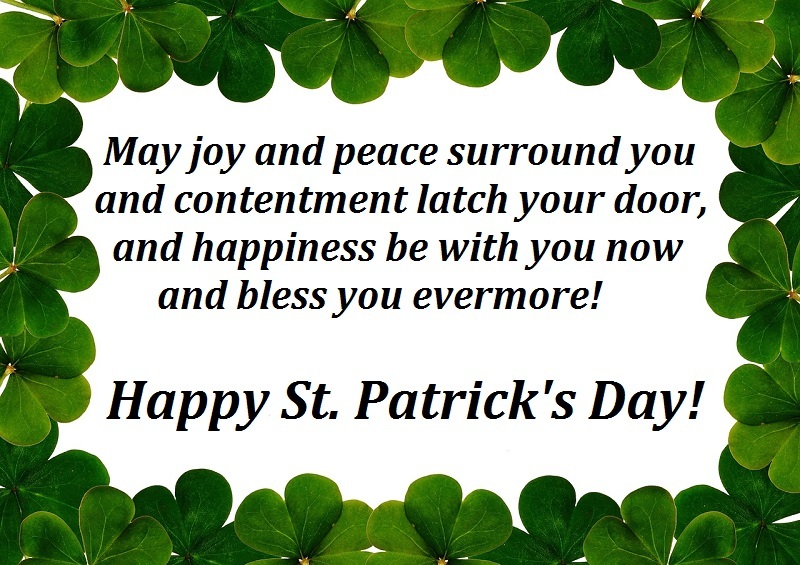 The phrase "luck of the Irish" was first used in the United States during the California Gold Rush to describe Irish immigrants who found their "pot of gold" while mining. Some people say this was a derogatory term to insinuate that the Irish needed luck rather than skill to find their fortune. The Irish have a great sense of humor and an awesome pride in their country. They are loved by nations all over the world. 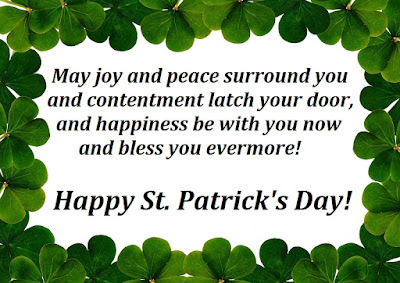 Green is the color of choice for St. Patrick's Day because Ireland is known as the Emerald Isle. Hmmm... wait a second. I also read that wearing green makes one invisible to leprechauns, and everyone knows those pesky fairy creatures pinch everyone they can see! Wherever the phrase comes from--and whatever you choose to wear today--go out and have fun! Labels: Happy St. Patrick's Day, Leprechauns, Luck of the Irish, The Emerald Isle, Where does the phrase Luck of the Irish come from? Few people would use a word like 'beautiful' to describe these easy homemade biscuits, but that's just the way I roll. (Pun intended!) You see, I have an on-going love affair with food so it's easy for me to see any type of bread as beautiful (as well as delicious)! 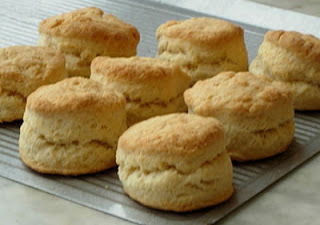 Today, I'm sharing my Buttermilk Biscuit recipe. Mmmmmmm! Measure out the flour, baking powder, and salt into a bowl. Work in the butter and shortening until you've got a crumb-like consistency. (I use my fingers, and I work fast so the butter and shortening won't melt.) Add the buttermilk and stir just until the dry ingredients are moistened. Dough will be sticky. Turn dough out onto a floured surface and fold it a few times. Pat into an oval that's about an inch thick. I use a drinking glass to cut the biscuits into rounds. Gently reform the 'scraps' and cut into rounds. Place the dough rounds on a cookie sheet. If you like soft-sided biscuits, let the rounds touch. If you like crisper sides, give each biscuit some room on the sheet. Bake for 15-20 until they're tall and golden brown. Alton Brown has a similar recipe, but suggests using a little less salt. Even with all those cookbooks and cooking shows under his belt, what does he know? Paula Deen offers a great recipe for Garlic Cheese Biscuits. Yum, y'all! Yum! These Mayonnaise Biscuits look interesting, although I haven't tried them. Yet. If you're looking for fast and easy, the Betty Crocker website has a recipe using Bisquick, that very well-known all purpose baking mix. I've added chopped herbs and a 1/2 cups of cheddar cheese to this recipe to make dumplings for chicken stew. Everyone knows a dumpling is simply a steamed biscuit! Whether they're slathered with butter, honey, or jam - or steamed on top of a pot of thick, luscious chicken stew - there's nothing quite as delectable as a fluffy biscuit! If you enjoyed my Buttermilk Biscuit recipe, or any of the recipes I've linked to, please use the buttons below to share this post. Thanks, and happy eating! Let's stay connected! Subscribe to my newsletter. Prizes awarded in each issue. LIKE my Facebook Page by clicking my picture! The Single Daddy Club, a 3-book sweet romance series, starts with Derrick! Discover New Sweet Romance Books!